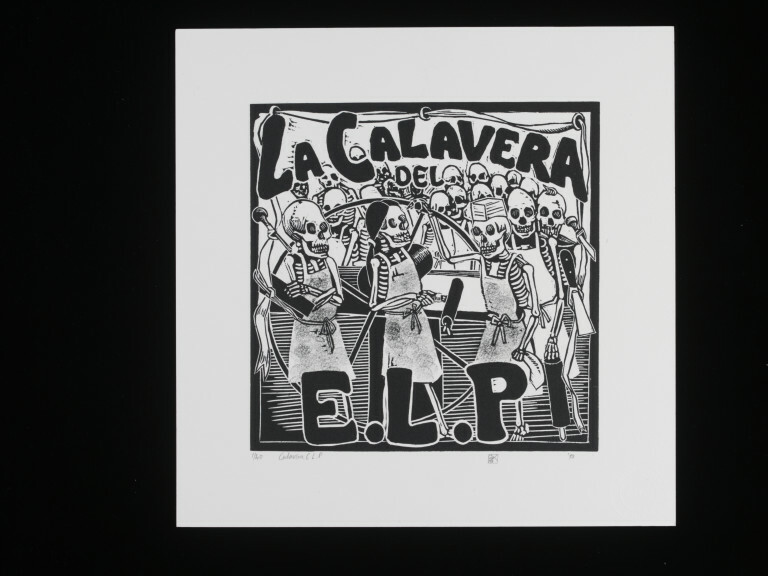 Linocut print on white paper depicting skeletal figures wearing aprons and holding various tools, surrounding a printing press. Signed with artist's mark, titled, dated, and numbered by the artist. 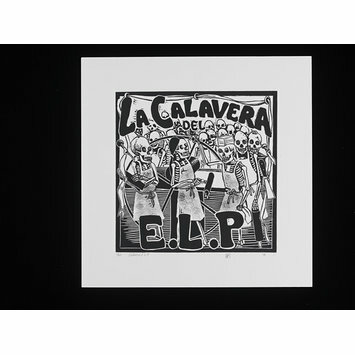 Print by Chris Pig entitled 'Calavera E.L.P' for ELP Box '10, published by East London Printmakers, 2010. A calavera is a representation of a human skull made from either sugar or clay, popularly used in the Mexican celebration, the Day of the Dead.